You can now get an iPhone 5C from Wal-Mart for just 97 cents with a two-year contract. Attention Wal-Mart shoppers: iPhone prices are coming down. 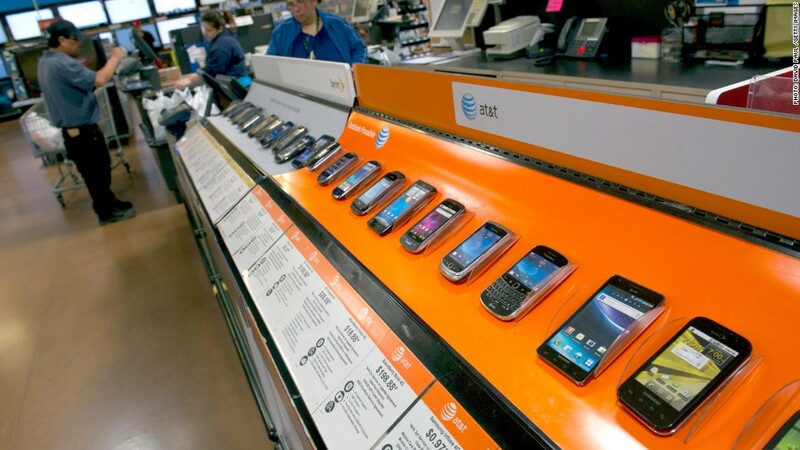 Wal-Mart (WMT) cut prices for the iPhone 5S and 5C on Wednesday, offering further evidence that next-generation iPhones will indeed be released on the rumored launch date of Sept. 9. Big retailers like Wal-Mart typically slash prices ahead of new releases to clear out inventory. You can now get an iPhone 5C at Wal-Mart for just 97 cents with a two-year contract from Sprint (S), Verizon (VZ) or AT&T (T), down from $29. The 5S is now $79 with a contract, down from $99. Apple (AAPL) is expected to release a pair of larger iPhones in September: one with a 4.7-inch screen, and one that's 5.5 inches. Those compare to the 4-inch display on the iPhone 5S. Apple will likely provide more details on the forthcoming version of its mobile operating system, iOS 8, at the September event. It is also widely expected to unveil a new smartwatch at the event.